The Queen’s Court Company returned to the stage this fall with another impressive performance, its fifth overall, but for the first-time ever, the play was performed on campus at the Croydon Hall gymnasium. The four-show run of Suite Surrender from Nov. 19-21 featured two separate casts, allowing each actress to perform in two shows each. Silvia F., Hailey H., Sarah F. and Lilly M. shine on stage in “Suite Surrender” on opening night, Nov. 19, at the Croydon Hall Gymnasium. Photo by Melissa Whelan. The 22 actresses did not waste their opportunity to shine, as both casts received rave reviews from audience members. Additionally, and perhaps more importantly, the students enjoyed every minute of the process – from the long night and weekend rehearsals to taking their final bows with their castmates. “Being on stage with my friends was a wonderful experience. I enjoyed it and I am so proud of what we accomplished.” said junior Grace Molloy, who played Ms. Claudia McFadden, one of the lead roles. In addition to the many hours spent rehearsing, just as many were spent preparing the set and costumes to make them look authentic for the 1940s setting of the play. “Working backstage was a really fun experience. There were times when we were rushing, but in the end the set looked good and we were all really proud of it,” said sophomore Colleen Egan, who worked on the set as part of The Crowning Crew, a group of 26 students who handle all of the behind-the-scenes work, from stage design and set artwork to lighting and sound. 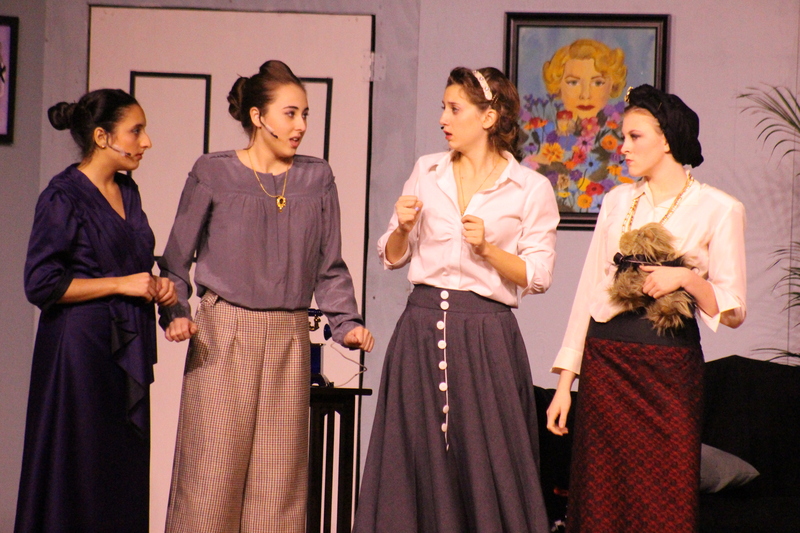 “The set looked very professional, and it enhanced the performance,” STEM teacher Nicole Sadowski said. 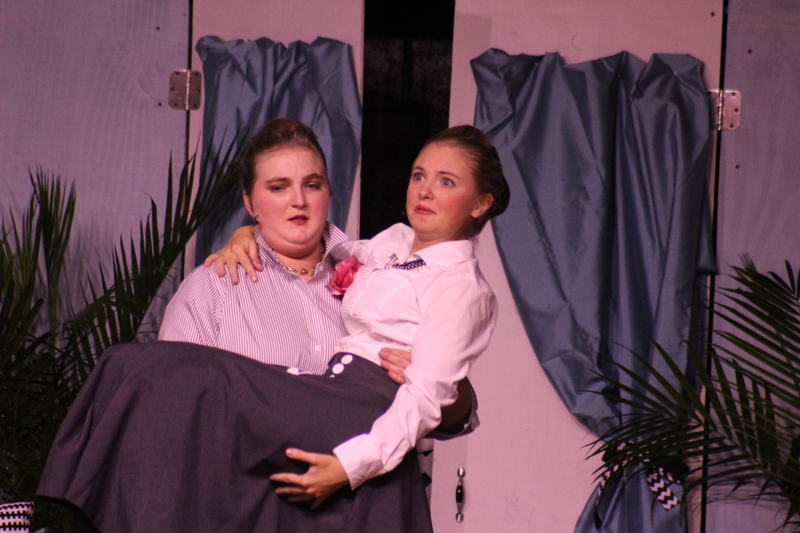 Chloe T. and Holly K. add comedy to their performance in “Suite Surrender” on Nov. 20 at Croydon Hall Gymnasium. “The costumes were so cute they made me want to live in the forties,” sophomore Joanna Ferrer said of the costumes that were designed and created by students, led by junior Nicole Calandrino and faculty member Melissa Whelan. Set in Florida in the 1940s, Suite Surrender follows two Hollywood divas who coincidentally end up in the same hotel room. The show has a comedic tone with a hint of suspense here and there. Judging by the reaction of the audience, who seemed thoroughly entertained from start to finish, Phillips made a wise choice. December 1, 2015 in Archives.